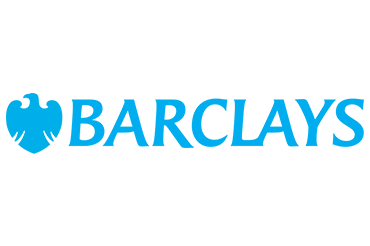 Introduction to Barclays Legal including panel session with keynote legal speakers. Work shadowing in the Barclays Legal Function. The first two weeks of September 2019. Both weeks will be based in Barclays Global Headquarters in Canary Wharf, although there may be visits to other sites in London. You will be notified at the beginning of each week if your work shadowing is at another site in Canary Wharf. You must have received or be on target for at least a 2.1 degree classification (excluding mitigating circumstances). Anyone who has previously attended BLEW is not eligible to apply. The process is CV blind and takes place across three stages: submit an application, a psychometric test and a video interview. The application window will open in April 2019. No late applications will be accepted, for any reason (including technology issues). Stage Two: all applicants will receive an automated email containing links to online psychometric testing, which you will need to complete. You will have at least two weeks in which to do the tests. There will be a strict deadline to complete this (which cannot be extended) so please ensure you check your email folder (including junk email). You must make sure you give yourself time to complete the online testing in advance of this deadline therefore please don’t leave your application to the last minute! All applicants will receive automated feedback by email after completing these tests. Stage Three: the top scoring performers in the online testing will be invited to participate in a video interview. Please note that this is CV blind. Outcome of application process: If you are successful after Stage Three, you will be offered a place on the BLEW scheme and will be emailed. If you are not successful at any stage, you will be notified by email. Applicants successful in earning a place on BLEW will have their reasonable travel expenses for journeys from outside London reimbursed. Accommodation costs and travel within London (e.g. TFL underground fares) incurred to participate in the scheme will not be reimbursed.